According to the National Psoriasis Foundation, psoriasis is the most common autoimmune disorder in America. For many people the condition is simply a nuisance. However, for a large portion of sufferers (about 60%), the skin disease has a big impact on the quality of their life. Plaque psoriasis is the most common kind, but there are others including pustular psoriasis. Although they are unsightly, pustular psoriasis is not contagious. Like other forms of psoriasis, it is a chronic disease that cycle through periods of activity and remission with symptoms improving or worsening. Some forms of this condition (generalized pustular psoriasis) can be fatal and some people have landed in burn units because of the severity of their outbreaks. The overarching condition of psoriasis is believed to be an autoimmune disorder. For reasons scientists haven’t been able to figure out, the body begins attacking itself causing all sorts of internal chaos. For people with psoriasis, the autoimmune disorder induces abnormal skin cell activity that results in excess skin cells being produced. Pustular psoriasis usually occurs in people who have a history of psoriasis, though there are a few cases where people who have never had psoriasis before erupt in pustular psoriasis. In the majority of cases, the eruptions were triggered by a mitigating factor such as drug use, stress, allergens, diet, infections, pregnancy, stress, sunburns, and skin damage. Prior to the eruption of the blisters, the skin may feel tender and turn a fiery red. You may experience nausea, headache, fever, joint pain, chills, and decreased appetite. Within a few hours of having these symptoms, the pustules will appear. After 24 to 48 hours, the pustules will combine to form puddles of pus that eventually dry and peel off. Afterwards, new pustules may appear. This can continue for days or weeks. If it continues for several months, you may experience hair loss. The other symptoms will usually persist until the episode passes completely. Mild forms of pustular psoriasis can usually be treated at home. The condition can be physically exhausting, so the person may be prescribed bed rest and adequate fluid intake. To reduce body heat, cold compresses may be placed on the affected areas. Saltwater and oatmeal baths may also provide relief from symptoms. The doctor may recommend or prescribe topical or systemic medication depending on how severe the outbreak is. Topical treatments typically include corticosteroids, coal tar, anthralin, products containing vitamin D, and retinoids. If you are looking for a psoriasis treatment product made from natural ingredients that won’t cause side effects, read our reviews of effective treatments on the homepage. Severe or chronic cases may be prescribed systemic agents that act on the body in various ways. There is currently no cure for psoriasis. For decades, weve been viewing epidermis as merely packaging, rather than the living and breathing body organ it can be. We shell out out endless funds for rapid repair treatments and yummy smelling which guarantee some brand new magic ingredient to create us lovely. A excellent ingredient can have superb benefits, as long as it incorporates the nutrients and vitality enhancers the skin color demands to purpose at its peak. Unless anti aging are comparatively free of charge of unsafe preservatives, artificial fragrances and other chemicals, there isnt any way it can keep its guarantees. As well frequently when a single over-hyped pot of lotion doesnt do the employment were hoping for, we transfer on to the subsequent provide of assist. Start body brushing! Every-day or at minimum each other day just just before a tub or shower use a system brush in upward movements starting off together with your feet, just brush by yourself all-over. This is exceptional for stimulating your circulation, elliminating aged epidermis cells and helps make the skin appear softer and smoother. As much as 80% of skin color growing older is attributable to the sun. Ultra Violet rays from the sun can penetrate deep into your epidermis and harm collagen. Collagen may be the protein that holds skin color together in a very agency and clean way. Injury of the collagen causes wrinkles. When collagen is destroyed, it are unable to rebuild itself. That will be the explanation why taking treatment in the pores and skin from sunlight need to commence earlier. Use a moisturizer mixed with sunscreen to guard your skin color when youll need to be uncovered within the sun. Avoid eating salty meals right before going to rest. When we rest, our physique slows down in its distribution of fluid. This may worsen in the event you consume salty foods. Salt tends to maintain on to two h2o molecules at once. This prevents fluid from being distributed to your correct regions of the body. Use an eye treatment. This solution could be the correct choice when it involves selling skin care dermis throughout the eyes. Appear to get a solution that consists of Eyeliss, CynergyTK and Phytessence Wakame. It really is critical that you just exfoliate and moisturize your skin often. Exfoliating may be the process of getting rid of of dead skin tissues around the outer most layer of our skin. Without having exfoliating, any anti aging cream wont perform its magic. You can find numerous items nowadays that have established successful in moisturizing skin. If utilized appropriately, it steady hydration and guard skin from more radical damage. There are many different herbs that can encourage fertility and pregnancy. For the most part, these herbs work by toning a woman’s reproductive system and balancing out their hormones. If you already know what is disrupting your ability to conceive, then a treatment plan consisting of specific herbs can be utilized to help with conception. Your first step, however, should be to consult with an herbalist or homeopathic doctor and ask: How can I get pregnant easy with Herbs? Red Raspberry Leaf is used for its wonderful way in which it gently tones a woman’s uterus. Most women prefer to brew the dried leaves into a tea. However, due to its popularity, Red Raspberry Leaf is also a key ingredient in most over-the-counter herbal solutions to help women get pregnant easy. Red Raspberry Leaf is safe to take in preparation for pregnancy, as well as in preparation for labor. When most women talk about their conception difficulties with other women and ask them ‘How can I get pregnant easy with herbs?” they will most often hear how their friends have all tried Vitex. This is commonly referred to as Chaste Tree Berry, or by its scientific name of Vitex Agnus-Castus. No matter which name you call it by, it can help in regulating your luteal phase and in stimulating the proper release of the luteinizing hormone. Vitex can also inhibit the release of prolactin and FSH, whilst simultaneously encouraging the creation of progesterone. Motherwort (Leonurus cardiac) is another superb herb to help women get pregnant easy. Motherwort is able to regulate proper thyroid functioning; and can also tone the uterus. This herb can be taken by women after they have given birth to help restore their uterus back to its pre-pregnancy condition. Chinese herbs have been utilized by Traditional Chinese Medicine practitioners for centuries to help women get pregnant. One of their favorite herbs to use is called Dong Quai. This herb works to fortify a weak uterus and normalizes a woman’s menstrual cycle by regulating her hormones. A word of caution: Dong Quai should be avoided once conception has been confirmed. Tribulus is an herb that helps with regulating ovulation. It can be taken alongside other ovulation stimulation drugs that are prescribed by fertility doctors, such as Clomid. Tribulus can help these medical drugs be more effective. For women who have thyroid problems, Rhodiola Rosea can be most advantageous. It has the added benefit of helping the eggs to mature inside the ovary prior to ovulation. Women who suffer with ovulatory dysfunction, luteal phase defects or unexplained infertility will be the ones to benefit most from the use of herbs. If you truly want to know the answer to the question of “How can I get pregnant easy with herbs”, then you need to educate yourself as much as possible to the great affects herbs can have on your inner wellbeing, and fertility efforts. Pain is perhaps the most obvious symptom in most cases of diabetic neuropathy, but the options available for physicians and patients are too many to list one by one. Generally, diabetic neuropathy treatment options for pain fall into two categories: pharmacologic agents such as anticonvulsants, antidepressants, and opioids, and nonpharmacologic treatments like magnetic field treatment and transcutaneous electrical nerve stimulation. Because of the numerous options available, new guidelines on how painful diabetic neuropathy should be treated were released by the American Academy of Neurology in 2011. The lead author was Dr. Vera Bril, from the University of Toronto, and the guidelines were developed in collaboration with the American Academy of Physical Medicine and Rehabilitation and the American Association of Neuromuscular and Electrodiagnostic Medicine. The guidelines were published in Neurology and presented at the 63rd annual meeting of the American Academy of Neurology. The study was undertaken because of the sheer volume of literature on diabetic neuropathy. The researchers started in 2007, and in the following years they closely examined more than 2200 papers on the subject. The evidence backing up claims for various forms of treatment were analyzed and evaluated. Level A (strong evidence exists that it works well or not). Only one particular treatment received this classification, which was a bit of a surprise for the researchers themselves. This is the drug Pregabalin. The guidelines noted that it should be offered when it is clinically appropriate. Level B (moderate evidence). For anticonvulsants, gabapentin and sodium valproate are recommended. Anticonvulsants that should not be considered as proper treatments include lacosamide, lamotrigine, and oxcarbazepine. Antidepressants duloxetine, venlafaxine, and amitriptyline have moderate evidence to back up their pain relief claims and thus should be considered. For opioids, recommended treatments in this category include oxycodone, tramadol, morphine sulphate, and dextromethorphan. Isosorbide dinitrate spray and capsaicin cream are classified in this category. However, some people may not be able to tolerate the adverse effects of capsaicin. It may produce a burning pain in hot weather or when in contact with warm water. On the other hand, these treatments are not recommended: mexiletine, pentoxifylline, and clonidine. Among nonpharmacologic treatments, TENS (transcutaneous electrical nerve stimulation) is recommended. What’s not recommended include Reiki therapy, low-intensity laser treatment, or electromagnetic field treatment. Level C (weak evidence). Treatments which have weak evidence to back up their effectiveness include the Lidoderm patch and adding venlafaxine to gabapentin. Level U (insufficient evidence). In this category, there’s simply not enough evidence to say whether a particular form of treatment is effective or not. This category includes the anticonvulsant topiramate, the antidepressants fluoxetine, imipramine, and desipramine, and the combination of fluphenazine and nortriptyline. So when you go to your doctor to discuss your options on how to manage the pain brought by diabetic neuropathy, you may as well bring a copy of these guidelines with you and discuss how they suit your particular circumstances. You and your doctor may be able to choose the best treatments according to the recommendations of these guidelines. As with many health issues, the best way to deal with acne scars treatment is to not need it in the first place. And of course, the best way for this to happen is to not get acne breakouts. If youre reading this, however, youve almost certainly been susceptible to it in the pastso lets instead talk about how to deal with the scars. First off, consider the cause of scarring. Your skin has many layersgoing from the surface to underneath, the epidermis, dermis, and the hypodermisand heals differently based on the levels. 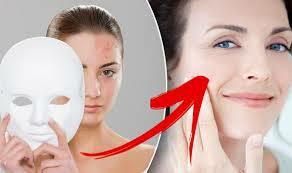 Generally, superficial skin damage such as that to the epidermis will heal naturally. Deeper injury penetrating to the dermis or lower risks permanent damage in the form of scars. To relate this to acne, you can think of your minor blackheads or pimples as largely confined to the pores on the surface of your skin. Though you obviously dont want to encourage skin damage by picking at these, they are unlikely to lead to scarring. More dangerous by far is cystic acne. This is when acne infections build up in the epidermis or lower, typically cocooned in a layer of dead skin cells, and forms an infection that you can not even see at first. In addition to being quite painful, this is the type of acne most prone to lead to scars. If you get this more serious form of acne, then acne home treatment alone may not suffice. To minimize the risk of permanent damage, I strongly encourage anyone facing this type of acne to seek a dermatologists consultation. Though it will cost you more up front, getting professional treatment before major scarring will save you money in dealing with permanent damage in the future. Meanwhile, you can greatly minimize your risks of needing acne scars treatment by keeping acne infections to a minimal level in the first place. Stay on top of your hygiene/nutrition/exercise for basic health, avoid aggravating your acne by picking at live infections, and use effective over-the-counter medications to prevent further acne break-outs.